City won't appeal decision after about 100,000 to 200,000 gallons of raw sewage overflowed from manholes into the creek near Southwest 69th Avenue and Railroad Street in Beaverton. 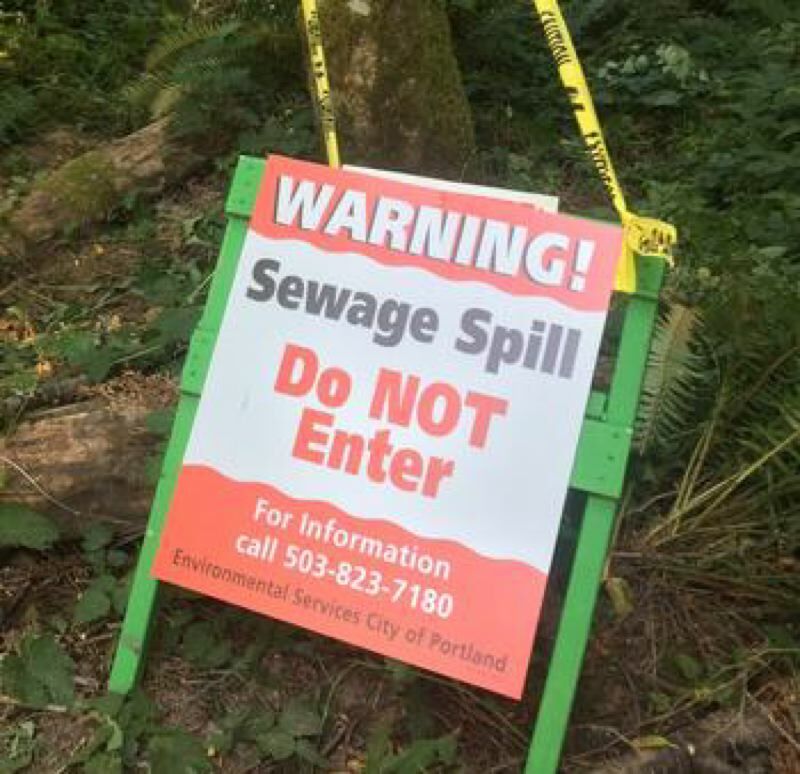 A mid-July sewage spill that killed fish in Beaverton's Woods Creek could cost the city of Portland more than $50,000 in fines. Oregon's Department of Environmental Quality said Friday, Feb. 9, that it has fined the city $55,200 for sewage overflow that contaminated Woods Creek. The city was told of the action in a Jan. 31 letter. On Friday, BES officials said they would not appeal the fine. "Environmental Services accepts responsibility for this accident," said Bill Ryan, Environmental Services' chief engineer, in a Feb. 9 statement. "We regret our error in inadvertently leaving a valve open during a test of a pressure line in the area and have installed new valve locks to prevent a future occurrence." According to DEQ, the overflow happened on July 13 after Portland crews mistakenly left a drain valve open during tests on the Fanno Basin Pressure Line sewer lines between Portland and Beaverton, with are connected. About 100,000 to 200,000 gallons of raw sewage overflowed from manholes into the creek near Southwest 69th Avenue and Railroad Street in Beaverton. City crews were able to close the valve by about 5:45 p.m. The overflow killed about 196 fish, mostly minnows and sculpin, according to DEQ officials. Portland's Bureau of Environmental Services stopped the overflow and sent crews to help Beaverton and Washington County Clean Water Services staff clean up the sewage. It was the second time in July that sewage had overflowed into Woods Creek. The first occurred when a private party inadvertently connected its private stormwater line to a public sewer line, causing an overflow in the creek. That incident sent about 27,000 gallons into the Fanno Creek tributary near the April Hill Natural Area. Environmental Services managed the cleanup and worked with the property owner to resolve the crossed connection.